This September, BBC Books will publish The Women Who Lived: Amazing Tales for Future Time Lords – written by myself and Simon Guerrier! The book is a collection of short tales about the incredible and inspiring women in the Doctor Who universe, illustrated throughout with specially-commissioned artwork by a team of female artists – Jo Bee, Gwen Burns, Sophie Cowdrey, Lydia Futral, Kate Holden, Bev Johnson, Dani Jones, Sonia Leong, Cliodhna Lyons, Mogamoka, Valentina Mozzo, Naniiebim, Lara Pickle, Emma Price, Katy Shuttleworth, Natalie Smillie, Rachael Smith, Raine Szramski, Tammy Taylor, Emma Vieceli and Caz Zhu. The cover is by the amazing Lee Binding. 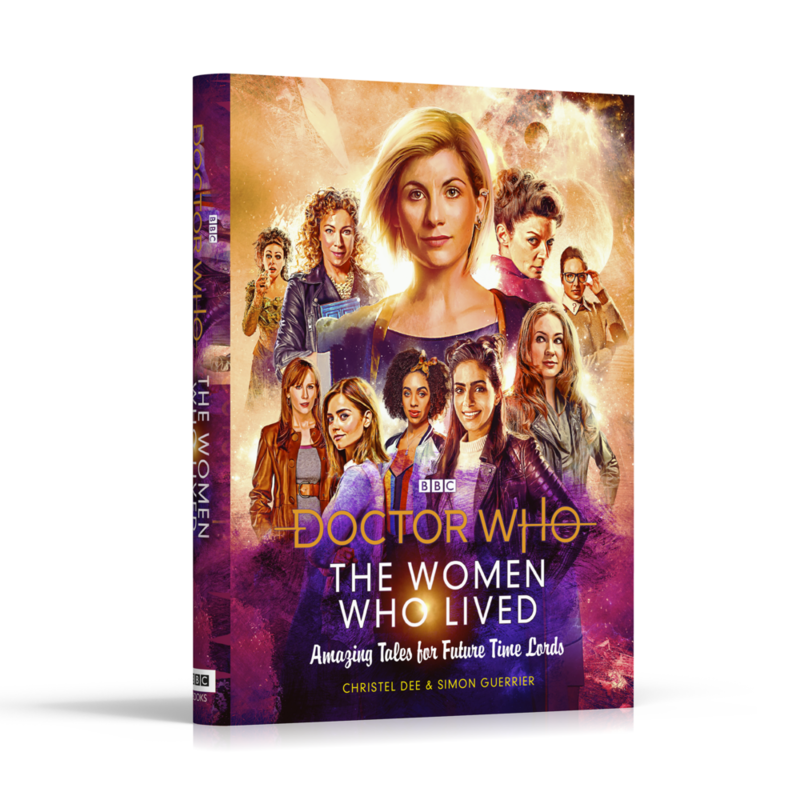 It features over 75 inspiring tales of remarkable women of the Whoniverse, both real and imagined; historical figures such as Agatha Christie and Queen Victoria, fan favourites like Bill Potts and River Song and a few other lesser known characters that we thought were worth celebrating! AND there are plenty of tales of incredible female characters from Classic Doctor Who like Susan, Jo Grant, Sarah Jane Smith, Ace… the list goes on! The book also features new companion Yasmin, and an extended entry on the Thirteenth incarnation of the Doctor. So how did this book come about? After Jodie Whittaker was announced as the Thirteenth Doctor, I thought it would be amazing If there was a book celebrating the amazing women in Doctor Who. I had worked with Simon Guerrier previously on Doctor Who: Paper Dolls and I was keen to do more writing, so I hit him up and asked if he’d like to write it with me – he said yes and we worked on a pitch together which we took to BBC Books who gave us the greenlight! We put together a long list of female characters (well over 100) which we whittled down to just over 75. Simon and I then divided up the list up between us and we got to work, sending our entries to each other for feedback. The format we settled on is borrowed largely from Goodnight Stories for Rebel Girls. We felt the fairy tale format had a real sense of magic to it and we liked that it's something adults can enjoy but can also be read to very small children before bedtime. You can join Simon and I at Forbidden Planet in London (28 September) and Bristol (29 September) where we’ll be signing copies of The Women Who Lived and I’ll also be at Vworp in Manchester on 9 September to chat about the book on "The Women Who Lived" panel hosted by The Time Ladies. I’ll also be hosting a panel on cosplay and a panel called "Well, that’s Just Ace" where I’ll be chatting to Sophie Aldred about her time in Doctor Who as the Seventh Doctor's companion, Ace. Doctor Who: The Women Who Lived: Amazing Tales for Future Time Lords will publish on 27th September in hardback, priced £16.99. You can pre-order it here for £9.99.